Y’all, I wrote a book. 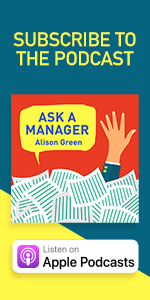 ASK A MANAGER: Ask a Manager: How to Navigate Clueless Colleagues, Lunch-Stealing Bosses, and the Rest of Your Life at Work will be published by Random House/Ballantine next spring. 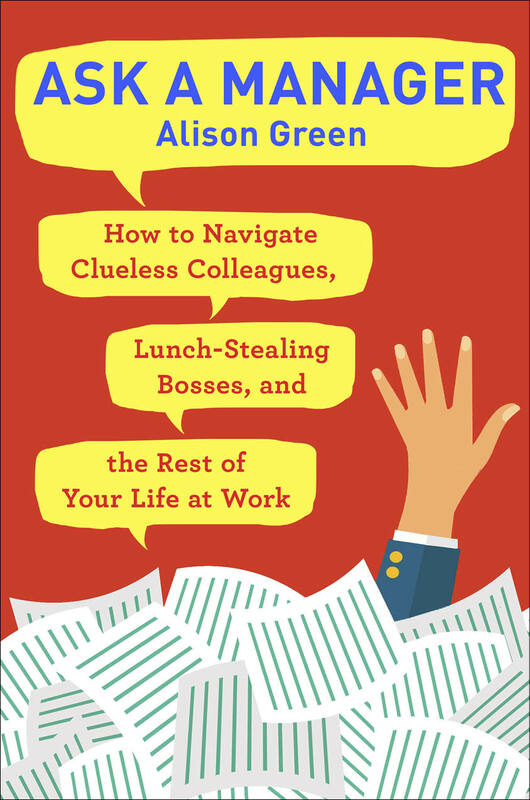 The book — which is nearly all new content that you haven’t read here — takes on more than 200 difficult conversations you might need to have during your career (with your boss, your coworkers, your employees, or your job interviewer) and gives you the wording to do it … focusing especially on the awkward and cringey conversations that people dread most. In a decade of running this site, the theme I’ve seen over and over is that people shy away from having difficult conversations because they don’t know what to say. Often they worry it’ll feel aggressive or adversarial, and they’re looking for wording that won’t kill the relationship. And understandably so! Your quality of life at work can depend on having decent relationships with your coworkers and your boss, so the stakes are high. I’m super excited for this to come out and believe me, I will tell you when it’s ready for pre-ordering. My reaction as well. I am so happy for you. I’m so excited to finally be able to talk about this! It’s been 10 long months of keeping quiet about it (it was sold at auction last summer but just announced today). I spent all last fall and the early part of this year writing it (if you noticed me seeming grumpier than usual, that was why), and finally it’s public! Yay!!! Woo hoo!!! Mazel tov! So happy for you. Oh, and it’s mainly new content — not an anthology or anything like that, although there are a few “greatest hits” in there. I was already delighted and I didn’t even figure it would be new content! This is so exciting! I better add that to the post. I think they will make great gifts to anyone at any stage in their career! Oh God I hope you included Hanukkah Balls. This ^^^. Some things really need to be preserved in print. This book is so good it’ll make you say “Quack”! Congratulations!!!!!! What a fantastic gift for new grads!! Awesome! Was worried I’d exhausted all the content already after hours of trawling through the archives back when I first started reading the site. A friend at your publisher knows I’m a fan and mentioned this to me–I am OVER THE MOON for you (and a tiny bit jealous of your editor, but I work on completely different types of books so it’s fine, I guess). Congrats! Will it be available in audio format? Gosh, book AND house stuff…that’s a lot! What a busy year you’ve been having! Super happy for you and can’t wait to read it! Congrats! I know approximately zero about the world of publishing, so forgive me for being an idiot – is there a specific release date? Or is “next spring” about as specific as they tell you until shortly before release? Also, is this dead-tree only or is there a purchaseable version from iBooks/Kindle/equivalent? It should be May/June of next year. And it will be in print and ebook format as well. Just in time for new grads in my life entering the workforce! Congrats Alison! I’m very excited to buy & read your book. best graduation gift ever, the kind they don’t realize the value of until later!! Yay! I buy for a public library system and I’ll be ordering lots of copies in print and ebook for our patrons! Do an audiobook too! From the various comments I’ve seen on them, I think most of our alma mater’s could use us buying them copies of Alison’s book. I know mine certainly could. There could be a book tour of college career centers alone! OMG, imagine if she could contact the LW or have some of us read the letters! Yay for ebook option! \(^^)/ I will most definitely purchase the bajeebus out of it. Oh I am *so* buying the e-book. AAM makes me smile so much on top of being a useful resource for learning professional norms. P E R F E C T just in time for my daughter’s college graduation! Congratulations!!! Eeee congratulations and yay! So excited for you and for this book! An auction? Is that as exciting as it sounds? OMG yes. The auction was the most exciting week of my life. I am not kidding. I’d love to know more about the auction if you’re willing to share. Congratulations! I just talked about this below so I’m going to copy/paste it here, but am happy to answer any questions about it! It was a really fascinating and fun process. The way it works is that your agent sends out your proposal to editors at publishing houses who they think might be interested. If multiple editors want to buy it, then it goes to auction, which is a several-day period where different publishers bid on it. It can go in rounds where they put in their first bids, and then the second round is, for example, the three highest bidders, who are all told what the highest bid is that they have to beat from the last round. And so on. Wow, that is all so interesting! I bet it must feel really weird (but also validating) to have people trying to out-bid each other for your work. Congratulations! Not to nitpick, but very few auctions are “several days” long–only very hotly contested ones! Not surprised this was one. Congratulations!!! Congratulations! I can’t wait to pick it up! Is THIS what has been keeping you so busy lately?!?! This was it. So happy to have it finished! Was this the ‘new house’? Ha, no, there is indeed an actual new house as well. This is super exciting—congratulations, Alison! I’m really looking forward to reading it, too! Not nearly *as* exciting, but I am thrilled that the book sold to my employer and I’m actually going to be working on it. PS: you have a lot of (other) in-house fans. That’s amazing that you’re going to be working on it! Be nice to it. OMG!!! And I know the librarians are going to go big for it. THIS IS AMAZING!!!! I am so excited to read the book, Congrats Alison! I find this connection adorable. Congrats on the huge accomplishment! I’d love to see many of your philosophies become standard professional best practices, honestly – a wider audience is all to the good. Auction? That’s a thing? Whoa. Can you tell us the story one day? I did! It’s above! Let me know if you want more — I can talk about this endlessly. Having to keep quiet is so crazy-making. I have to do that when I playtest and it must be a zillion times worse with your own book. And I will be getting this! Can’t wait! Pardon my ignorance, but what does “it was sold at auction” mean in the publishing world? Oh, sorry- I just saw that you explained it! What great news! And I’m hopeful that you’re going to be able to enjoy some extra rest for the next little while from at least some of the time you’ve been putting in. And I’ll have my own copy, and one for every graduation gift for the students in my life for a long, long time! Many congratulations! I can’t wait to buy it! You are one strong woman… buying and selling a house; auctioning, writing, and promoting a book; and maintaining a top notch blog. Well done! Congratulations!!!! I’m looking forward to reading it. Yaaaaaay! I teach yoga and I STILL want this! Yeah, but she’ll have lots of “stinky coworkers and clients” issues to make up for it. I actually remember at least two past letter writers being yoga teachers! YES! Very happy for you. I am so excited for this!!! Congratulations! Yay! I’m so happy for you and excited for the book! Congratulations. Excellent. You’ve solved many problems. This is VERY exciting news!! Can’t wait to purchase it! This is fantastic! I may try to pitch to my HR director getting a copy for every intern as a parting gift. Your work has truly been invaluable and I’m so glad you have another venue in which to preach the gospel! Oh, that’s such a great idea! I may steal it. Ooh, that’s a good idea. I participate in our intern mentoring program here and I think it would be a great intern gift. Any chance of a book tour? I’m pretty sure the deal with book tours is that they don’t sell books like they used to, and so they’re not as much of a go-to strategy anymore unless you’re a celebrity. But I don’t actually know that for sure. I’d go to an in-person event if you were to do a tour! I’d love to get a signed copy at Politics & Prose made out to my user name haha! I think you have to pay for your own book tour now. It really depends. An author has to be willing to jump in and be available and enthusiastic but for the right combination of author and audience, events are definitely a thing that happens. Maybe less a book “tour” than a series of carefully planned and located book “events”–but we’ve been doing more and more stuff that lets readers meet and interact with authors, with a decent amount of success. Ask your publicist! It’s true, they won’t do tours for everything, but for books where an audience is likely to actually turn up for events, it’s not off the table. Oh, I can see the letter now. One of our employees has been posting publicity and marketing recommendations on our author’s blog. These matters are usually contract considerations. I appreciate her enthusiasm but now I’m juggling expectations where there wasn’t even an issue. Please come to Minneapolis. I will pre sell the books. Perhaps we can run a contest for where to launch? Pleeeeasssee do a book tour! And come to San Francisco! Tell them how your loyal readers are begging to meet you in person! If you have the following, which you do, a tour might pay off. Anne Helen Petersen’s 2nd book came out yesterday, and she’s doing 5-6 dates. She used to write for The Hairpin, writes for Buzzfeed now, writes pop culture analysis. I pre-ordered her book months ago! I’m excited to read it. I definitely consider you a celebrity and would 100% show up if you did a tour in Boston. I would totally come to a book tour event in the Chicago area. OMG if you did a tour, I’d be right there! It would be super-awesome to meet you, AND it would bring other local AAM readers out where I could find them. Plus I really, really want a copy inscribed “To Mallory Janis Ian”! Ooohhh…now there is something I would love to have. Not only the book (which I will buy copies of for everyone kid I know graduating) but one inscribed to commentator name. Do you think we will have to pay extra for that? Or buy 5 and get the 6th one inscribed? Oh, man, yes! It would be great to network with local AAMers. I’ve got my t-shirt all ready for if/when the tour happens (spoiler alert: it’s my Gravatar and user name on a t-shirt). YES. I would totally show up and Alison would have to sign a tea pot for me. But you’re right, it’d give all of us a chance to meet other local AAM readers. I would CERTAINLY attend in Kansas City or anywhere near there! Come to Portland, Oregon! I’ll be first in line, wearing a “My name is Wakeen” name tag, and asking you to sign many copies, many, many copies. Oooooh I second this question! I was about to ask when we would see your expertise in brick and mortar stores! Congratulations! How exciting!!! Congratulations!! I will be watching for pre-order info! Congratulations! Can’t wait to order it, and, following CH and RKB, think a book tour would be wonderful!! If I could comment with a meme, it would be Shut Up and Take My Money! Because, yay, an exciting surprise, and AAM cat stuff obviously. Congratulations on this major accomplishment!! I can’t wait to read it! Congrats! Super exciting news. I’ve been telling my friends about the blog for ages so I will pass this on too! Congratulations Alison!! I will definitely be purchasing this! By chance, do you know if it’ll be available in ebook format, e.g. for Kindle? YES!!!!!! Congrats, Alison!! I can’t wait. Yess!! EVERYONE is getting a copy of this for Hannukah. For your sake, I don’t know whether to hope it does or doesn’t mention the horrifyingly infamous Hannukah balls. omg. Did the m’lady thing actually happen? Please tell me that happened. Well, I’m sure it’s happened somewhere. But I’ve never had a letter about it, if that’s what you mean! There is a local breakfast place near where I live that I had to stop going because someone somehow trained all of their servers to call women “m’lady”. I thought it was one single terrible dude, but multiple (male and female) servers called me m’lady over a period of a few months, and I just had to stop going. I dated a guy in high school who called people m’lady. He also wore a black trenchcoat and a fedora with graphic tees, dad jeans, and white Reebok sneakers every day. I had, like, legendarily poor taste in high school. I want to hug you through my tears of laughter. The only place where m’lady is an acceptable salutation is a renaissance festival. Congratulations, Alison! This is fantastic news! Will there be a print release, and if so, will there be opportunities to get it signed? It will be in print, yes, and I’m not sure about signing opportunities but I will definitely keep you posted here as plans roll out. Oh my gosh, yes to the signings!!!! Can we start a petition to your publisher? Just kidding…unless it really would help! If you require the AAM herd to bother publishers politely, I’ll help! How exciting! Congratulations Alison!!! I am very curious about the auction comment – I’m completely unfamiliar with publishing. Are there book auctions where publishers bid on work?? Yes! So the way it works is that your agent sends out your proposal to editors at publishing houses who they think might be interested. If multiple editors want to buy it, then it goes to auction, which is a several-day period where different publishers bid on it. It can go in rounds where they put in their first bids, and then the second round is, for example, the three highest bidders, who are all told what the highest bid is that they have to beat from the last round. And so on. YAY! Can’t wait to put my money down. Squuueeeeeeeeee!!!!! I’m so excited for this. Congratulations Alison, that is so amazing! This is SO exciting, Alison! Congratulations! I can’t wait to read it, and am so happy for you. I will be preordering! Super excited. Congrats Alison! This is incredibly exciting! Congratulations! Exactly what you just said, this site has taught me to speak up in a way that’s polite but assertive and my quality of life has gone way up. I’m amazed how I used to let something that could be solved in a few seconds by talking directly with someone bother me for hours. Good! When I thought about what I might write a book on, I really thought this is the thing that people seem to want most — the language suggestions and scripts and explanations of why you say this but you don’t say that, and so forth. I second BRR’s comment 100%! Actually, yesterday a junior staff person in my office came to me for advice on how to have a difficult conversation with his manager — and I was really excited to put some AAM-inspired advice into action. Me too! And taught me that it is normal to simply ask for the things that you need or want. It’s funny, because her scripts are just as useful for someone coming from the opposite side. I tend to be ridiculously blunt and straight forward, and I still find a lot of her scrips very useful. A little tact and sensitivity can go a long way in the workplace. Exactly. I never know if I am being too blunt or too wishy-washy. Your scripts really help me to see where the line is. Also: I can never remember, are the “You may also like” linked posts at the bottom auto-generated? Because one is about the coworker who self-published an X-rated book, and I actually laughed out loud at my desk. And is part of the reason we love you. Hilarious! Congrats! There is nothing unseemly about being excited about such a big accomplishment! You are COMPLETELY allowed to be excited! I’m excited! That is awesome! And congratulations on getting a second book published! Can’t wait to read it in the spaces between endlessly refreshing this website. You have every right to be super-excited – this is so awesome. Dang right there was an auction, your publisher is lucky to have you. Can’t wait to read it, and recommend it! You’re also with an amazing literary agency, so double congrats! Huge congrats! Can’t wait to read it. Congratulations, Allison! I will buy this. Oh, nice. I can see this being helpful in non-work situations too. I look forward to reading it. I’m tempted to buy a copy for each of my coworkers. Congratulations! I will definitely be ordering it. Let me add to the congratulatory chorale! A new house and a book? And you’ve managed to stay on top of AAM? You are amazing. I’ve been dying to move for so long and knew I couldn’t even think about it while I was writing the book. But the minute I was done, I was on redfin, etc. looking at houses. YAY!! Congratulations, what an accomplishment! I can’t wait to read it, cheers to you! Omg congratulations! Can’t wait to read it! Yay! Congrats and can’t wait to buy it! Congrats! Looking forward to its release. Please make it into a movie? Maybe even an HBO series? That Reese person can dye her hair and play you. Oh I would love this and binge watch. Movie rights can’t be far behind :) Though I was picturing Amy Adams as Alison…. Ohmygoodness how awesome and funny would a workplace hijinks movie be based upon Alison’s letters/books (or the spirit of them)? And the lesson can be to speak up for yourself and be assertive! Woohoo! Congratulations! This is so exciting!!! YAY!!! Congratulations! I really want to put this on our graduation table next summer. I tell all my work friends (bookstore work and museum work, applicable to both so hard!!!) about AAM and now I can shove this book at them too. Please do a book tour with a dramatic reading of letters! Hahah. :) But seriously, congrats and hooray for the writing being done! OMG I would absolutely love to attend a dramatic reading of some letters from this site! You know what this reminds me of? Those “read aloud” skits that Jimmy Fallon does with celebrities, where they’ll read someone’s Facebook rant or Yelp review out loud. It would be amazing if someone made a few videos with actors reading some of the letters as a teaser/promo for the book. Or if the audiobook were read aloud dramatically by a rotating cast of readers (kind of like The Love Book). Oh, that would be so fantastic. Alison, pitch all of this to your publicist/marketing team! Yes!!! omg. Can you imagine like Parks & Rec people or the Office people reading them? Squee! Hahah. Even just regular old actors or voice over people would make a cool promo! Woohoo! Looking forward to reading it, looking forward to gifting it to people. I’m working on a book proposal myself in a totally different field, and it’s both intimidating and inspiring to see people I admire get through the process. I’m so glad to hear this, and extra pleased it will be new content! Yay! This is so exciting. Congratulations! Congratulations, I can’t wait to read it! I’m uber excited for you. Your blog is my go to resource for anything work related. Although I’m a lurker, I read your blog everyday as if it was my morning paper. 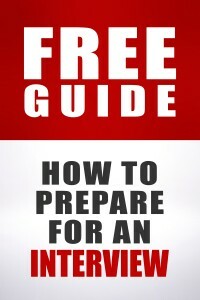 Your “How To Get A Job” ebook is my number resource since I’m looking for jobs. I’m sure this book will be a page turn and I can’t wait to read it. Yessss! I’ve said it before – you’re a #%&@ing national treasure. Now in book form!! Congrats! And then a podcast is next….right???????? Please. Congratulations!! I’m sure it will be a best-seller. I know that’s what lots of people say when someone writes a book, but legitimately, I think this book will help so many people… Congrats! Congrats on the book! A friend’s had her novel auctioned and the official announcement took 8 months, the wait killed her. Yay! Congrats Alison, I can’t wait. Congratulations! Looking forward to it! Just adding to the congratulations! Alison, I’ve been reading this site daily since 2012 and I am so happy for you!! This is amazing news! Also thank you for providing me with an easy gift for holidays and birthdays for the next several years, because I will definitely be giving this to any and everyone I know who has a job! Congratulations, and thanks for picking out all my nieces’ and nephews’ graduation gift! I will definitely be ordering one! I have been a long time reader and got a fantastic new job using the tips that you have given :) Can’t wait for pre-order! I am so excited for this!!! Yay!!! I want copies for everyone I work with- I reference your conversation examples all the time. I audibly gasped when I read this post. Count me in as another that will pre-order this book! Congrats!! Oh wow oh wow oh wow!!! Congrats!!! May this be the great “life changing book deal” that we writers all dream of. So happy for you!!! We just sold the Chinese rights. Hopefully more foreign rights are to come! Congratulations! I first found Ask A Manager two years ago when I was having to decide whether or not to tell my boss I was job-hunting. Now it’s daily reading for me. Also, y’all, I had to do a full-on professional photo shoot to get an author photo. That was just as weird as any photo-shy among you are thinking it would be. I’m so curious about how this went! Did you do your own hair and makeup? Provide your own clothing? Did you have an idea of how you wanted your photo to look? I had someone do my hair and makeup. I wore my normal clothes though. Although now you’re making me regret not renting, like, a ball gown. I looked at a bunch of author photos beforehand. It seems like 90% of female authors are next to a tree in their book photos, while far fewer men are. So I decided I definitely didn’t want to be under a tree. I ended up sitting on some stairs. I agree — the picture is lovely! That shade of blue does wonderful things for you. I love that author photo, it looks great. Nonetheless, my head picture of you will always be you sipping a teacup, presumably with a cat on your lap just outside the frame. Ha, see above. Female authors and foliage is a thing. This really is not a good reason for not posting adorable pictures of your cats on the weekend open thread. Wonderful and amazing news! Mazel tov :) I’m definitely planning to buy a copy, not only because it will be awesome, but also as a way of showing my appreciation for everything I’ve learnt from you, without ever once having written in myself. I find myself giving advice which I know comes from AAM… can’t wait to see it in real. Y’all, my life is complete. Congratulations! This must be so exciting for you. Make sure that book tour cones to the UK too, we definitelyneed a hand with awkward conversations! I can’t wait to pre-order. Will you have a book tour/can you sign my book?! You’ll be able to meet us without our creative usernames! CONGRATULATIONS!!! So happy for you. I’m buying this for all of my coworkers!! So happy for you and so excited for this book! Congratulations!!! Oooh, I’m imagining a Miss Manners guide to Co-workers type book. That would be delightful. I expect it will be fun even if it isn’t as I imagine. Oh congratulations Alison!! I cannot wait to pre-order. And then get it in my grubby little hands. Oh, fabulous! Congrats, and I can’t wait to see it! Congratulations Alison! That is such awesome news! I’m so excited. I will recommend it to everyone and give it as a gift. I am super excited for this! This definitely beats manually printing out my favourite AAM posts and stapling them together to put in my binder! Congratulations, Alison! That is an amazing achievement. I know it’s going to be terrific. I look forward to pre-ordering it. Ooh! Will this be available for eReaders? Congratulations! You must have worked so hard on it. Looking forward to reading it. If this were a Facebook post, I would like it. (or love it, actually) If it were on Twitter, I’d retweet it. But since it’s your website, I will just say, “hallelujah!” and “I hope it sells 20 million copies and goes into multiple reprints.” The minute this one hits the Barnes and Noble website, I’m ordering it. Wow, this is so exciting! My employer has been investing heavily in training about how to have difficult/awkward/stressful conversations this past year. Your book sounds like a perfect complement/supplement to the training program we have brought in. Can’t wait for it to be published so I can check it out and potentially recommend it to the powers that be! I AM SO EXCITED FOR YOU/THIS/EVERYTHING. Just so incredibly excited. You deserve every single ounce of this! Excellent! Congratulations, such an amazing achievement! Ask a Manager has helped me so much in my own awful work situation, even though I’m now free (there’s a story here if you want it ) I read everyday! Well done again! This is AWESOME! Congrats! I can’t wait. OMG, I cannot wait to get this book in my hands! Congratulations, Alison! This is a great resource — I wish I had had the site and it earlier in my career. Congratulations and well done! You inspire me to be better quite often. This is fabulous news! Congratulations!! I’m so excited for you! I can only imagine how much blood, sweat, and tears you’ve put into this book, and it’s just wonderful that it’s coming to fruition for you. I can’t wait to pre-order my copy! Every time that I get frustrated with the way things are going at work, I hop onto the website and easily find a situation that’s much worse than mine. Then I can sit back and say, “at least my boss isn’t threatening to fire me if I don’t donate my liver to his brother!”, or “at least my boss didn’t fire me because I wore pajamas to pick him up from the airport at 3 a.m.!” So, thanks for that, Alison — you’ve done a great job of maintaining a website where we can commiserate, bolster each other up, and realize that we all really are in this together. It’s been invaluable! And it’s so wonderful that we get to return the favor now, and let you know (in a very tangible, monetary way =) ), that we’re all right there with you, too! Excellent idea for a book, Alison! Shows you listened to what your readers struggle with more often I’ll finally be able to retire the Evernote file I have with “how to say anything” that I copy from your blog because it sure makes my life easy to figure out how to say things diplomatically but also assertively :-). I’m sure it’s going to be a big hit. Congrats Alison! I can’t wait to buy it! Congratulations! I don’t have anything to add except I’m so excited to read it! Congratulations Alison! I find your advice translates to all areas of life, and I can’t wait to read this. What awesome news! Joining the chorus of congratulations and I have to tell you … I think I send a dozen people here a week. I’m an active member of a large FB community group for nonprofit professionals (I’m a moderator) and we get so many questions about cover letters, resumes, ways to resign, how to talk to challenging employees and I pretty much cut/paste my referral to your blog. P.S. Best Fiends? OBSESSED. Darn you! Great news! I’m looking forward to reading it! Not to be a brown noser, but how have you managed to buy a house, write a book, and run a popular website all at once? I haven’t finished unpacking from moving in 2008. YAY! I love your column, even though I don’t have anything to write in about, and this is awesome. Congrats! Just wanted to add a giant mazel tov to all of the congratulations here. I’m so looking forward to reading your book! A book is a great accomplishment. The Harry Potter books were rejected by publisher after publisher until Scholastic picked them up. To be published is an extraordinary achievement. Congratulations! On the radio and in print! I’m excited to read it! Mazel tov! That’s super cool. *snif … just… so proud. Coming out of lurking to join the chorus of congratulations! This is such a great achievement and very well deserved! I can’t wait to buy your book! I am so excited about this I’ve been waiting for a book!!! Please have a signed edition with a chocolate teapot t-shirt! Congrats!!! I will definitely order one. I’m thinking of a word that starts with “C” and ends with “ongratulations.” Way to go Allison! Congrats!!!! This is incredible – I was just thinking to myself the other day about how maintaining AAM must basically be a full time job and how incredible it is you do so many other things… little did I know a BOOK was in the works! Can’t wait to read it. Do keep us posted when it’s available for pre-order. Congratulations, Alison! I look forward to reading it and will be sure to recommend it to my colleagues, friends, and family! How exciting! Congratulations! A book will be a fantastic resource for so many people! Congratulations! That’s so exciting! Looking forward to seeing the pre-order announcement! Yaaaaaaaaaayyyyyyyyyy!!! I am forever telling people about your blog but I think they’re all more comfortable with a book because they don’t understand the internet I guess. How thrilling, though, I very much look forward to reading it! Congratulations! I am sooooo excited about this book. I will be buying a copy. Congratulations. This is great! I’m copies for my whole family! This is amazing news! Congratulations! I tell everyone about you and often refer coworkers and friends to your posts for a myriad of issues. I can’t wait to read your book!